Give yourself a gift this holiday season! *If you order online, we will contact you to select your preferred gift card. Gift cards will be mailed the week of January 1st. 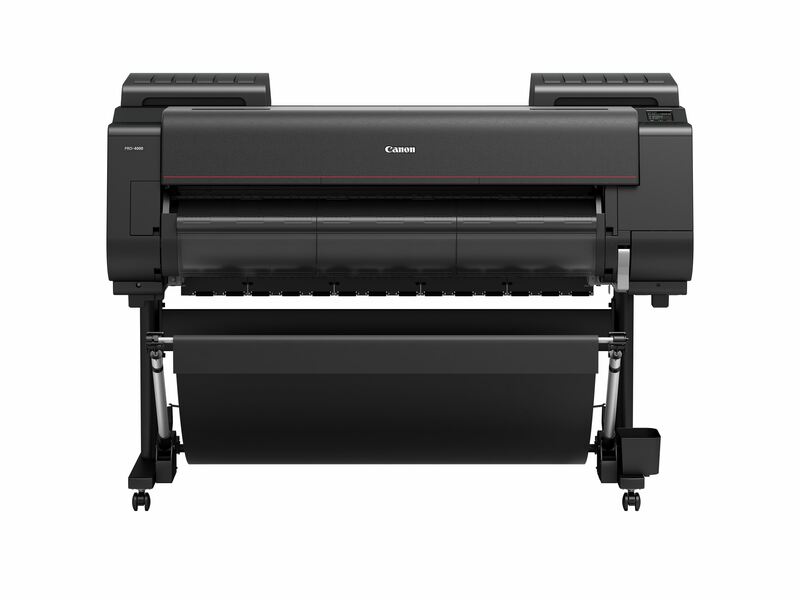 The 44-inch imagePROGRAF PRO-4000 printer is designed to exceed expectations for image quality and color consistency in a large format printer. The use of a new 1.28-inch wide 12-channel integrated compact print head, LUCIA PRO ink set plus Chroma Optimizer, a high-precision mechanical platform and the L-COA PRO high-speed image processing engine achieve a balance between exceptional print quality and speed.